The Xiaomi Mi 4s went official hours before the Mi 5, a teaser of sorts for the headliner. It even made the trip to Barcelona but enjoyed little of the spotlight for obvious reasons. This is the fourth installment in the Mi 4 lineup - hardly breaking news in a week full of high-profile announcements. Yet, we bet the new Xiaomi flagship wouldn't mind repeating the success of a predecessor that spawned quite the offspring. A year and a half separates the Mi 4 and the incumbent Mi 5 flagship - the time in-between was filled with a couple of phablets, including the Quad-HD Xiaomi Mi Note Pro, and a couple of Mi 4 modifications. 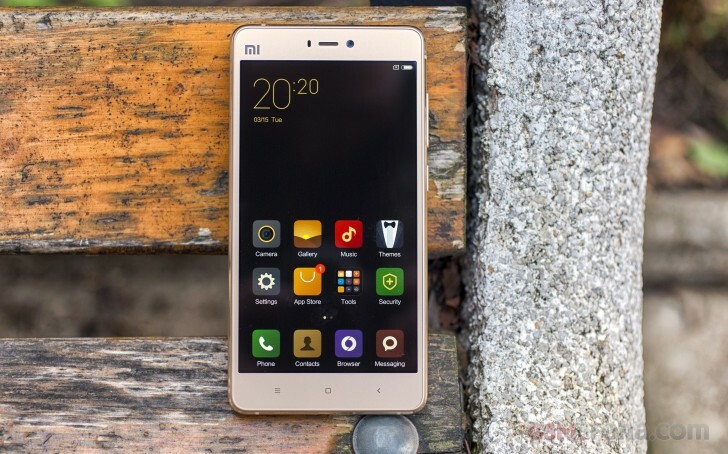 The Xiaomi Mi 4 turned out quite a popular device, and the company was keen to use the flagship momentum in the midrange Mi 4i and Mi 4c versions. Meanwhile, the Redmi Note series too made themselves comfortable in the midrange, and now Xiaomi fills an upper midrange spot with the Mi 4s. It builds on the Mi 4c with premium looks, more storage, more RAM, and more battery capacity, and flaunts a new fingerprint scanner at the back. Xiaomi is sticking to the dual-glass design in both the flagship Mi 5 and the Mi 4s. Compared to the Mi 5, the Mi 4s uses a different kind of metal frame sprayed with zircon sand for a pleasant soft touch and improved grip. Before we get into details, let's take a closer look at the spec sheet, shall we? Xiaomi hasn't done anything unusual with the Mi 4S - after all, the flagship understandably received more attention. The re-design works quite well though and the hexa-core chipset is a sensible choice considering the phone's standing in the pecking order. Its productivity should be comparable to a Snapdragon 650, power efficiency in favor of the 20nm Snapdragon 808. As usual with Xiaomi, the sealed battery and the shared SIM / MicroSD card slot shouldn't be unexpected. We hope the Mi 4s lives up to its legacy and, well, keep the surprises mostly pleasant. Let's see how the things turn out this time - our hardware tour starts right after the break. Special thanks to HonorBuy.com for providing us with this review unit. how to youse mi phone for playstore?